If you can’t chose which animals you want to experience, then the zookeeper for a day solves your problem and is the ultimate animals experience! We were on a feed the lemurs experience when we noticed a girl going round feeding ALL the animals. How come she got to feed the coatis, red pandas and all sorts of other animals when we just had the (admittedly brilliant) lemurs? The answer is that she was being a zookeeper for the day, and as a result, was feeding and learn about all the brilliant animals. You normally have to be 18+ to go on a zoo keeper day. If you’re buying for someone younger, take a look at our kids’ zookeeping page. What happens when you’re a zookeeper for the day? The fun bits are obviously feeding the animals, learning about them and making sure they’re ok, as well as a bit of work like mucking them out and preparing their food. Some people are worried that this zookeeper experience might be a bit too much work and not enough fun, but trust us when we say it’s all good. They’re not slave drivers at these zoos, and they know people on a zookeeper experience are there to enjoy themselves. There are three zookeeper for a day experiences available from the big experience retailers. They’re all down south but fairly easy to get to, especially London zoo. Having said that, the top two experiences are nice and cheap while the London Zoo experience is similar but £100 more. Why not choose from the top two experiences, and spend the £100 saving on a nice night away instead? The only negative is that you don’t get any involvement with the big cats or wolves, but you do get to watch them being fed. If you’re really interested in feeding big cats, you could look at the feeding big cats experience instead. It’s still a great introduction to being a zookeeper, so if Hertfordshire is easier for you to get to than Kent, then by all means choose this zookeeper for a day experience instead. Our favourites on this experience are the red pandas. Be a zookeeper for a day at London zoo – one of the world’s most famous zoos. You’d think this would be the obvious choice, with penguins, giraffes, big cats and meerkats, but it comes at a price. If you live in London and you’ve got plenty of cash, or if you’re buying this zookeeper experience for someone who lives in London, then it’s a good bet. A short trip to a big zoo with loads of different animals. Unfortunately the price is £100 more than the other zookeeper for a day experiences. It’s up to you. You get what you pay for, but you pay a lot. Why not buy one of the cheaper zookeeper experiences and have a nice stop over with a night in a hotel. For the £100 more you’d be spending on this experience, you could have a nice hotel. That’s what we’d do anyway. Zookeeper for a day4.25Sarah FirminBeing a zookeeper for a day is all the best animal experiences rolled into one. It costs a bit more than the normal animal experiences but you’ll spend an entire day being a zookeeper for the day. 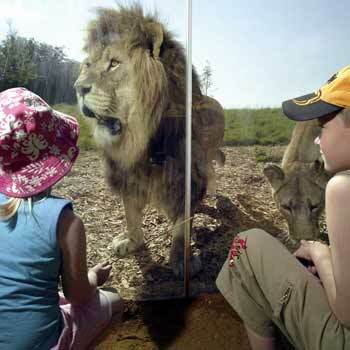 From feeding the zoo animals to making their beds, this zoo keeper experience is an amazing experience for any animal lover.